A 10-hour suspension of casino operations at Macau’s Ponte 16 resort on Saturday due to a power outage would have some effect on quarterly business performance but was “manageable”, said Hoffman Ma Ho Man, deputy chairman and executive director of Success Universe Group Ltd. He was speaking to GGRAsia by telephone on Monday. The Hong Kong-listed firm is a partner in, and promoter of, the Ponte 16 casino resort (pictured in file photo), a property located at the Inner Harbour district of Macau peninsula. Chinese-language media had reported that the city’s casino regulator, the Gaming Inspection and Coordination Bureau, had approved a request for temporary suspension on Saturday of gaming operations. It was sought by Ponte 16′s management in the aftermath of an interruption to the venue’s power supply. Success Universe’s Mr Ma confirmed to GGRAsia that the suspension of casino operations lasted from 5am to 3pm that day. The power outage problem occurred as a so-called UPS – uninterruptible power supply unit – “suddenly tripped, causing a power outage at part of our resort complex,” Mr Ma told us. “This is the first time we encountered a scenario like this,” he added. 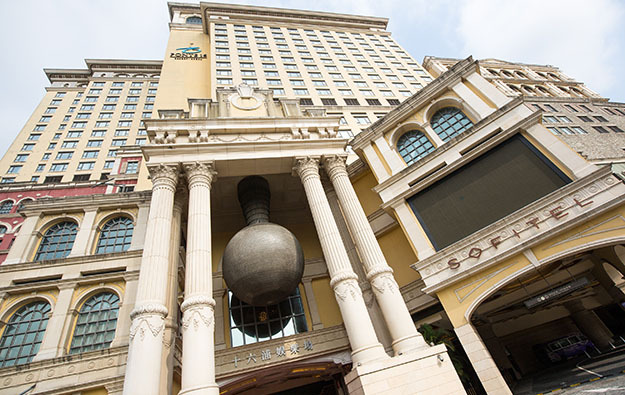 Sofitel Macau – the hotel portion of the resort complex – had not been affected, he noted. An uninterruptible power supply device is supposed to provide emergency power if – for whatever reason – the mains power supply to a property is interrupted. Macau’s electricity supply company CEM told GGRAsia that its power supply to Ponte 16 had been normal that day. He declined to give an estimate in money terms regarding how much business might have been lost due to Saturday’s incident, but noted it was “manageable”. “The power outage occurred in the morning when we typically have fewer clients. The peak of traffic usually starts to kick in starting at around 4pm,” Mr Ma told us. Success Universe and a subsidiary of Macau gaming operator SJM Holdings Ltd are partners in the Ponte 16 casino resort. It operates under SJM Holdings’ gaming licence. According to the official website of Ponte 16, the casino hosts a total of 109 gaming tables and 307 slot machines. The resort – located in a part of the old town susceptible to water inundation during storms – had previously been subjected to two serious interruptions to business linked to adverse weather, in little more than a 12-month timeframe. The main gaming floor at Ponte 16 was flooded in a category-10 typhoon in August 2017 and business was also disrupted by a city-wide pause in gaming operations during category-10 Typhoon Mangkhut in September 2018.